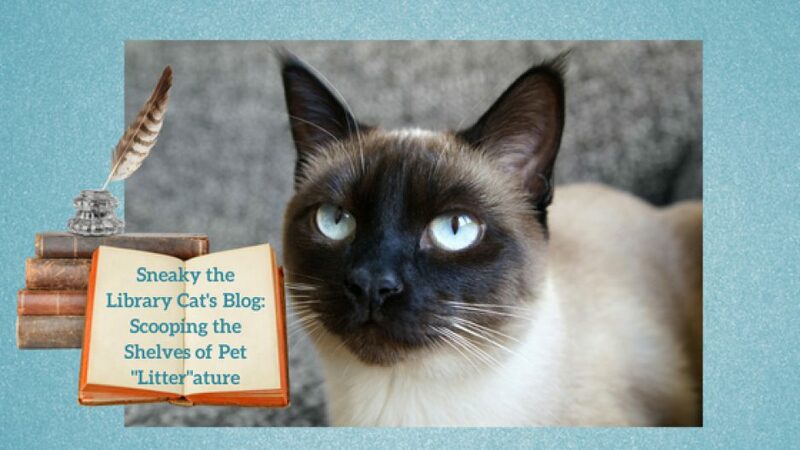 Sneaky here with another pawsome interview of a pet character. Today, it’s my pleasure to be cat chatting with a witch cat whose currrent book is on tour with Escape with Dollycas Into a Good Book. Me Pixel. Me author Vicki Vass. Welcome, Pixel. What book(s) have you appeared in? Please list them and their genre. Me in Bloodline and Dark Corner (puffs white chest proudly). Me star. Cozy (purrs). Pawsome. I’m a cozy mystery cat, too. Are you in a series? If so, please give information about it. Me in Witch Cat. Me familiar. How mice. I’m a library cat, but being a witch’s cat must be very exciting. Me real orange cat. Me rescue. Me born in cold barn. Find warm place with fireplace. What a purrfect story. My author just rescued two kittens. She lost my namesake Oliver, also a Siamese like me, last year. Pixel inhaled deeply. “Me hungry?” He could smell what I did—Mrs. Twiggs’s cauldron boiling with a concoction for which I had given her the recipe. He scurried into the cabin with Tracker and me close behind. “Oh dear, Terra, I don’t think I’m doing this right.” The new Mrs. Twiggs, light on her feet Mrs. Twiggs, filled her wooden ladle from the iron cauldron hanging above the fire in the big stone fireplace and breathed in. Since her transformation to a Wiccan, Mrs. Twiggs had turned into a much younger woman. Not so much that the humans could tell but enough that those close to her could. “I followed every step in Agatha’s recipe. I know I did.” She shook her head. Pixel tiptoed up to the cauldron, stood on his hind paws, and sniffed. “Me like.” He grinned at me, his smile resembling that of the Cheshire cat from Alice in Wonderland. Pixel’s days were full of new discoveries, and his delight in them never ceased to delight me. Pawsome! What do you like most about your role in your authors’ books? Me star. Me get food. Food is always the best perk for us character cats. Me talk. Sometimes me purr. I only make cat sounds, too. 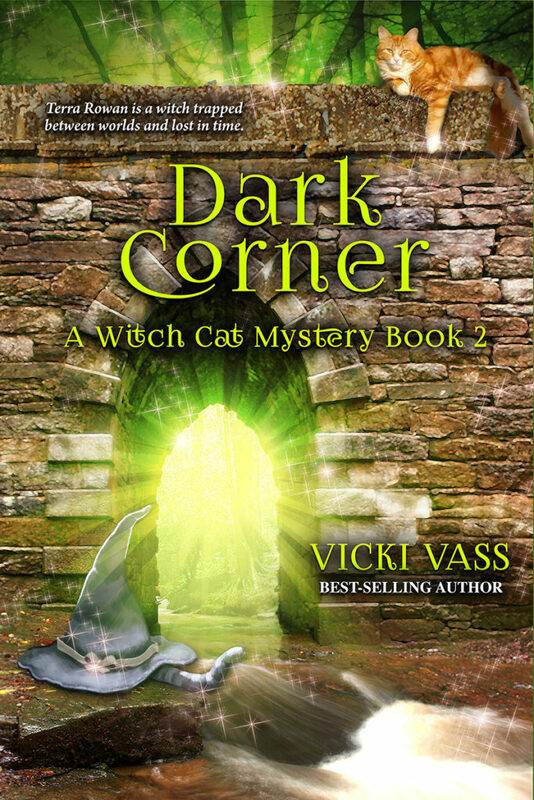 Dark Corner came out November 15. It continues our story. Concatulations and best whiskers on your new release and future books. Thanks so much for the cat chat. It was fun. 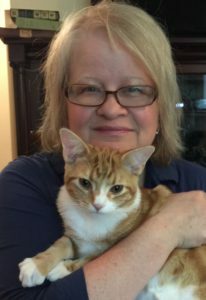 For those of you who don’t yet know, my author recently adopted two kittens from the Golden Paw Society through the Shabby Tabby Cat Cafe on Long Island. They are brother and sister. Here’s a video of them shortly after they first arrived at Debbie’s house.